Last year, Halfbike became the most funded vehicle on Kickstarter. Now, after refining and perfecting the original design, they are back with Halfbike 2.1. 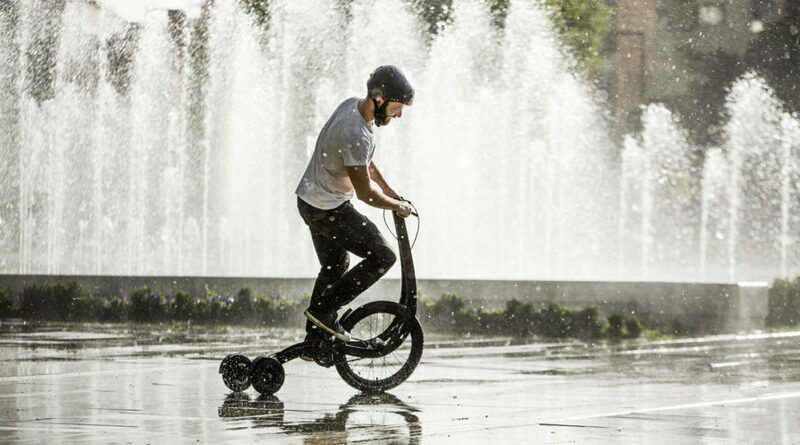 Combining all the best parts from bike riding, running and scooting, Halfbike is a completely new way to get around. According to the designers, Halfbike “awakens your natural instinct to move” and is as fun for commuting as it is for just riding around. To ride, you stand in a natural walking position, but unlike a bicycle or scooter, you use your entire body to move. It’s also foldable, compact and light, so you can take it anywhere. Check out all of the different styles and speeds and Halfbike.com.